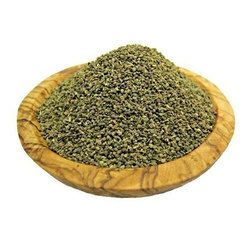 Prominent & Leading Exporter from Mumbai, we offer celery seeds and indian celery seeds. Celery leaf stalks and roots are used around the world as a vegetable. Celery seeds are used as flavoring or spice, either as whole seeds or as celery salt, ground and mixed with salt. It is an important ingredient of Indian and European cuisine. It is valuable in weight-loss diets. The common belief is that celery yields negative calories because it is very difficult for humans to digest. Ground Celery seeds from the plant Apium Graveolens L. has a pleasingly crisp texture and widely used in foods and beverages. We do not entertain DomesticRequirements. Subtle flavour. No mustiness or rancidity. Colour Green to light brown. 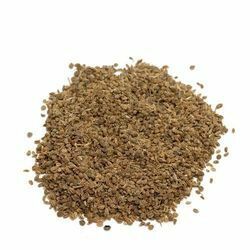 Ground celery seeds are a great source of calcium. Ancient ayurveda used celery seeds to treat colds, flu, water retention, poor digestion and various types of arthritis. Celery from Grover is cultivated in rich moist soil, with controlled exposure to sunlight. Deep trenches help to avoid blanching on account of direct sunlight. It takes a long time to grow and gets tender loving care right till and during harvest. Grover Sons are the first to export SORTEX cleaned celery from India.